At The Clock Clinic, we understand how valuable your clock is. Not just financially but also emotionally, especially if your clock has been passed down the generations. Whatever the type of repair, you can rest assured that we take extreme care and attention during the restoration process. 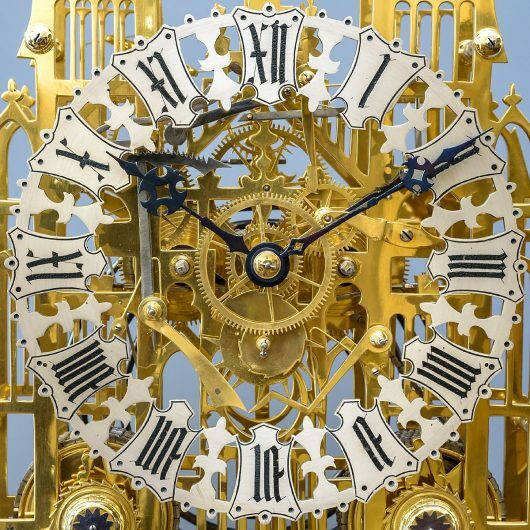 We specialise in restoring and repairing all types of antique clocks ranging from longcase/grandfather clocks to English bracket and skeleton clocks to fine French mantel and carriage clocks. Repairs to modern and mid-20th century clocks can also be undertaken and if you have a vintage electric clock just sitting there not in use, we can convert it to a quartz movement. We undertake complete overhauls, repairs or minor adjustments and offer routine maintenance on all types of antique and domestic clocks and watches. Dials and casework can be restored, new wheels can be cut and fitted and any necessary replacement parts can be made to its original pattern and specification. At The Clock Clinic we ensure our specialists are fully qualified, highly skilled and receive ongoing on-the-job training. We invest in developing talent and encouraging young people to go into the trade through our Apprentice Scheme, launched in May 2018 and by mentoring Horology undergraduates.